For many, the idea of Mongolia conjures up images of Ghengis Khan, the Gobi Desert, camels, throat-singers and yurts. The 2004 Oscar-nominated The Story of the Weeping Camel, a hybrid blend of documentary and fiction, offered a window into this world. But today, while the nomadic traditions are still alive, in a country where almost 60 percent of the population is younger than 30, Mongolia is opening itself up to the world and carving a new contemporary identity. In September 2009, I had the opportunity to attend a documentary film festival in Ulaanbaatar, Mongolia, the capital city. The Arts Council of Mongolia had organized a mini-Margaret Mead Documentary Film Festival with funding from the Open Society Institute Arts and Culture Network program. From 2004 to 2007, I had served as co-director of the Mead Festival, which takes place annually at the American Museum of Natural History in New York City. The films that screened from the festival included China Blue (Dir. Micha Peled), Shooting under Fire (Dir. : Sacha Mirzoeff), Sisters in Law (Dir. : Kim Longinotto), Today's Man (Dir. : Lizzie Gottlieb) and A Map with Gaps (Dir. : Alice Nelson). The Arts Council augmented the program with films from Mongolia, as well as Kyrgyzstan, Kazakhstan and Tajikistan. First, a bit of history. The national film studio, Mongol Kino, was founded in 1935, with Soviet technical assistance. The studio produced both fiction and documentary films, recognizing that film was an important propaganda instrument of communist ideology. But after 1990 and the onset of the free-market economy, film production in Mongolia moved from the national centralized base to private independent production. Nowadays, Mongolian cinema exists without any state subsidy, surviving solely on the enthusiasm of local film artists and commercial entrepreneurs. There is no significant support from the state, nor any real distribution system or network. In terms of artistic quality, market-oriented foreign blockbusters and soap operas overwhelm the cinema landscape. There are few adequate post-production facilities, so films often have poor visual and sound qualities. Additionally, there aren't solid rules on intellectual property, which can be problematic. And there is very little international exchange among filmmakers. In essence, there are very few Mongolian filmmakers who produce independent documentaries. For those who do, their films seem to lie somewhere between a television-style program and a "true" documentary. But there are signs of change. On my first day in Ulaanbaatar, I offered a workshop to about 50 filmmakers, ranging in age from 25 to 50. Some work independently, some with television stations. In addition to showing samples from public television and independent projects, I offered handouts that outlined funding opportunities for independent makers, some targeted specifically towards Asian and/or those from "developing countries." I also provided a list of international film festivals and other resources. My sense was that there is little awareness of these international opportunities, so I was happy to offer this information. There was a good discussion period, which continued through the reception that followed. Again, it was emphasized that there currently seems to be more support for and interest in fiction (aka "blockbuster") films than documentary in Mongolia. With the collapse of the "old system," a generation of documentary filmmakers ended, but a new system hasn't really taken its place. Most of the participants represent makers from individual private studios. I got the sense that there's a real desire for an ongoing forum for independent filmmakers that would provide an opportunity for work-in-progress screenings, resource-sharing, etc. The following day, the festival began. Fourteen films were presented over the course of the three days. The official opening of the festival was held on the evening of the first day (morning and afternoon screenings had already occurred) and featured a short from Kyrgyzstan, I Want to Live, followed by a Mongolian film, Uncrowned, which focuses on four university students as they follow their dream to build a robot that will win the annual robot competition in Ulaanbaatar and bring recognition to themselves and their school. The title hints at the fact that the film doesn't conclude with the expected "happy ending" of the students winning the competition, which makes it an even more realistic story. It was great to feature a Mongolian documentary as the opening-night film, and even more special because the subjects of the film, along with the director and producer, came to the stage after the screening. Uncrowned (Dir. : Orosoo Enkhbold; Prod. : Daria Tsagaan) was the strongest Mongolian film at the festival in terms of being most like an "international" style of documentary-making, and evoking similarities to other American documentaries where competition is the narrative arc--i.e., Spellbound, Murderball, Wordplay, and Mad Hot Ballroom. The following day, besides attending screenings, I visited the Radio and Television Institute, where I made a presentation to 150 students and faculty members. Given that I'm also a maker and not just a programmer/curator, I decided to tailor my presentation more to the making aspect, since that's what the students are focusing on. I talked about my career in media as a way to give the students a sense of the changing technology in the US during the past 30 years, as well as the enduring qualities needed in media-making. This ranged from my very first job creating educational filmstrips in the late 1970s to working in public television in the analogue days of the 1980s (when productions were shot on one-inch videotape with very large cameras that required engineers, etc. ), to independent documentaries and narrative and experimental work in the 1990s (still all on analogue video--three-quarter-inch, Beta SP, VHS, Hi-8), and finally to the digital technologies of today. I showed samples of some work created for public television in the US, as well as an independent experimental documentary. The Mongolian Institute seems to be one of the few places in the entire country that teaches media. There are several different strands--journalism, production, cinematography, engineering and art (design, graphics, TV/radio hosts, etc.) --and about 60 percent of the graduates go on to work for Mongolian National Broadcasting (MNB, the public television operation). During my visit in Ulaanbaatar, I also met with several individual Mongolian filmmakers to discuss the possibility of worldwide promotion of Mongolian documentaries. Back at the festival, films were thematically linked so that the larger social issues could stimulate cross-cultural dialogue. The Arts Council also included filmmakers and experts in the field (from NGOs and universities) for post-screening discussions about globalization and many human rights issues--child labor, domestic violence, freedom of expression, loss of traditional values, and more. There were also discussions about the state of documentary film in Mongolia--how Mongolians have a tendency to look outward when there's a need to also look at issues from within. People discussed the importance of documentary in raising social awareness of important issues, and the need for more exposure of this international work in Mongolia. The discussion then moved to a conversation about Mongolian documentaries and how the festival was one of the rare opportunities for audiences to view such work. Someone commented on how Uncrowned was a new kind of film for Mongolia, and how, in general, most Mongolian documentaries are more like TV programs with too many facts and not enough imagination. Another person criticized one Mongolian film for its music, since the filmmaker didn't get copyright clearance to use it, limiting the film's possible exposure in international film festivals and broadcasts. As the Arts Council's executive director, Ariunaa Tserenpil, concluded, many Mongolians don't say what they think, but the post-screening discussions seemed to belie this assertion. The discussions were quite animated, underscoring a real thirst for more opportunities for exchange between filmmakers and audiences, which seem to desire greater access to both local and international independent films of all genres--documentary, narrative, experimental, animation--as opposed to the commercial blockbusters. 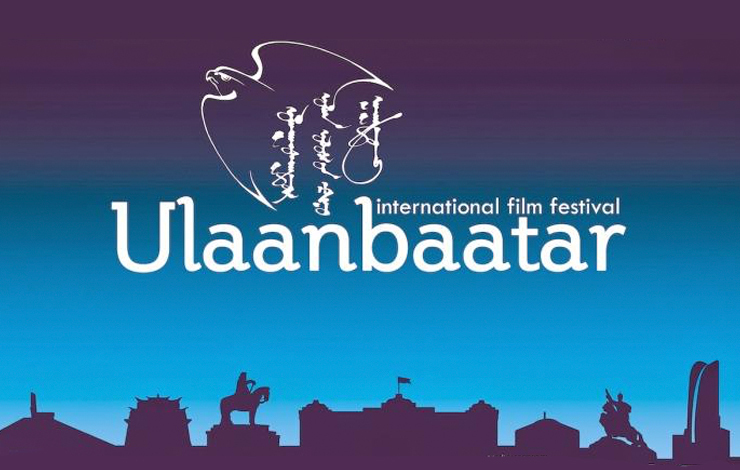 The Council plans to organize the festival in Ulaanbaatar again and will try to offer additional screenings of this year's festival at schools and universities. I returned to the US with a small collection of independent documentaries that I offered to investigate for possible screenings here. On December 30, 2009, The Asia-Europe Foundation awarded the Arts Council of Mongolia funding to support EAST MEETS WEST, a film forum that will enhance multilateral connections between Asia and Europe. This is a new initiative from the foundation, aimed at developing and stimulating strategic initiatives with partners from the film sector; this partnership will bring about more opportunities for networking, as well as understanding and cooperation between the two regions amidst new challenges that the sector faces today. Out of 61 applicants, the Arts Council of Mongolia was one of only three finalist organizations to receive this support. EAST MEETS WEST will take place before the end of 2010 in Ulaanbaatar. So, stay tuned. There's more to come soon from "The Land of the Blue Sky." Kathy Brew is an independent filmmaker, media arts curator and writer, who also teaches at The New School, The School of Visual Arts and Rutgers University.